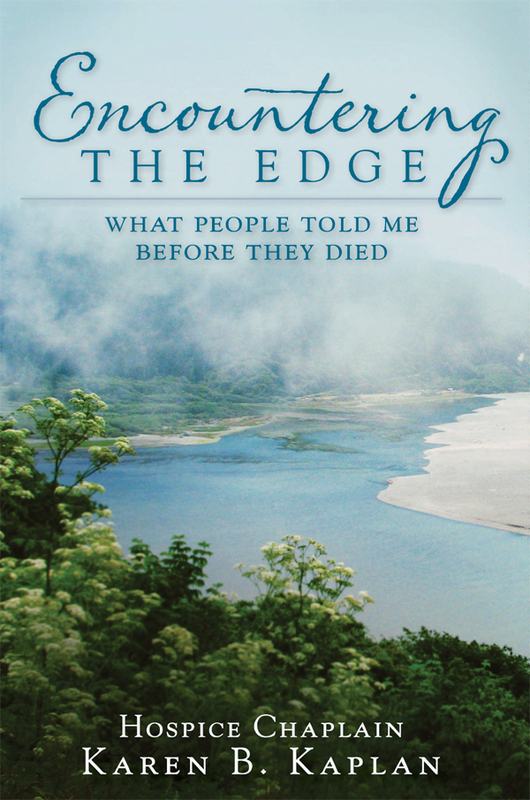 Encountering The Edge: What People Told Me Before They Died, published by Pen-L Publishing (April 2014). Free of religious agendas and pat answers, these are true quirky stories about my hospice patients and what they most cared about and believed in. Topics include how patients responded to my singing, and what some patients had to say about the afterlife. In the last chapter, I delve into the deeper reasons for choosing this “offbeat” line of work by imagining what it might be like for me to be on hospice and visit with my match, a chaplain. Ordained in 1992, I am among the first 200 female rabbis worldwide. In 2007 I became a board certified chaplain and served hospices for 8 years. I was a chaplain at United Hospice of Rockland in New City, NY, and at Princeton Hospice in New Jersey. Currently I serve Center for Hope Hospice in Elizabeth, NJ. Endorsed by a reporter for The Huffington Post, you can see stories and commentary about how people deal with death on this blog. My goal in writing the book and the blog is to provide a gentle entree to a forbidding yet mesmerizing subject. I am a hospice chaplain, an interfaith minister ( graduate of the Chaplaincy Institute for the Arts and Interfaith Ministry) and a born and practicing Jew (Conservative by background and local shul – only shul in the area, Renewal by orientation). I found your writing in the latest Hospice News Network, your “Payoffs of Pain” article, and look forward to reading your future postings. 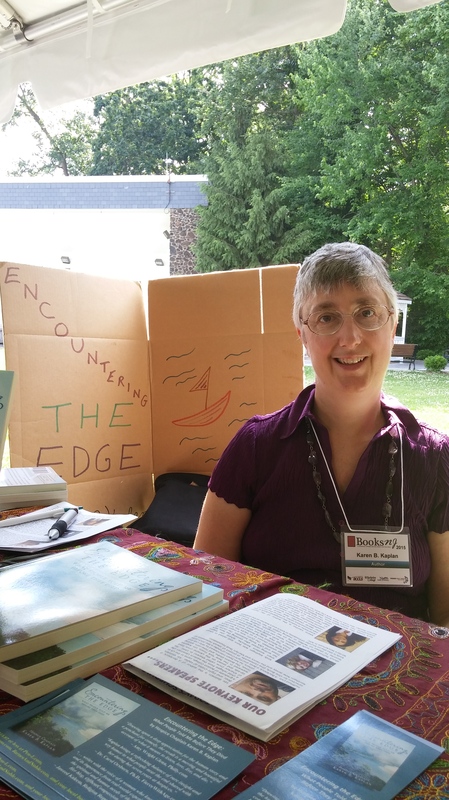 I would like to receive the “Encountering the Edge” excerpt. I have hopes of starting some kind of social media site to share positive Muslim – non Muslim relations events and need social media consultation. Might you provide such? If so, please email me to say how I can call you. Hi Karen, Your book sounds fascinating. Pen-L Publishing told me that as far as ebooks are concerned, it will be available on Kindle in about a month. Would that fit the bill? If so, I’ll notify you. Interesting that you mention an anecdote where the singing went wrong, because I have a similar story in the book. How’s that for a teaser? As far as writing your own stories, if you wish to write one self-contained story, I could post you as a guest blogger. Good luck tonite at the Kearny library book event! Best wishes for your new book with its subtle but compassionate insights….pleasure to read your blog once in a while..Jean k.
Thank you, Jean, for those best wishes—they truly are the best! Hi, interesting that you were among the first rabbis ordained. Send a link to any writings about that. A Reform or conservative branch? Not that I want to keep pitching my book, but since you specifically asked about my writings on being a female rabbi (Reform), I must mention that I give some anecdotes about that in Chapter One. These are not about female rabbis in general, or even rabbis in general but about what happened to me. Other clergy probably will relate. You can see all about the book on the left sidebar of my blog; it’s called Encountering the Edge: What People Told Me Before They Died.